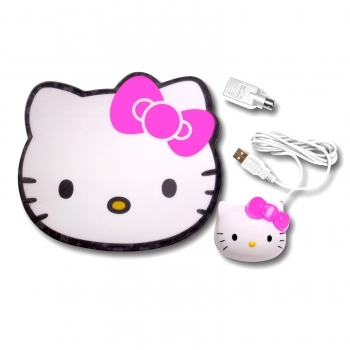 The cute and kid-friendly Hello Kitty mouse and mouse pad make a bright addition to any computer. Clicking the mouse is as simple as pushing Kitty's bow. Lightweight and straightforward, this USB-ready optical mouse features plug-and-play technology and one-touch operation.